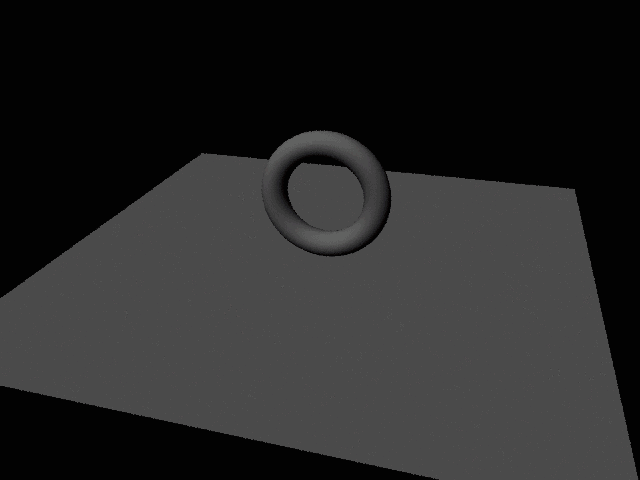 Sometimes frames take so long to render, it's difficult to get decent feedback when tweaking the lights or objects in a scene. In such a case, it's desirable to have multiple machines render different parts of each frame as 'tiles' that can quickly be rendered in parallel, then comped together. 'submit-maya6-tile' splits each frame up into 'tiles' and renders them separately on different machines, and then using ImageMagick's 'montage' and 'composite' commands, recombines the tiles into a single image. 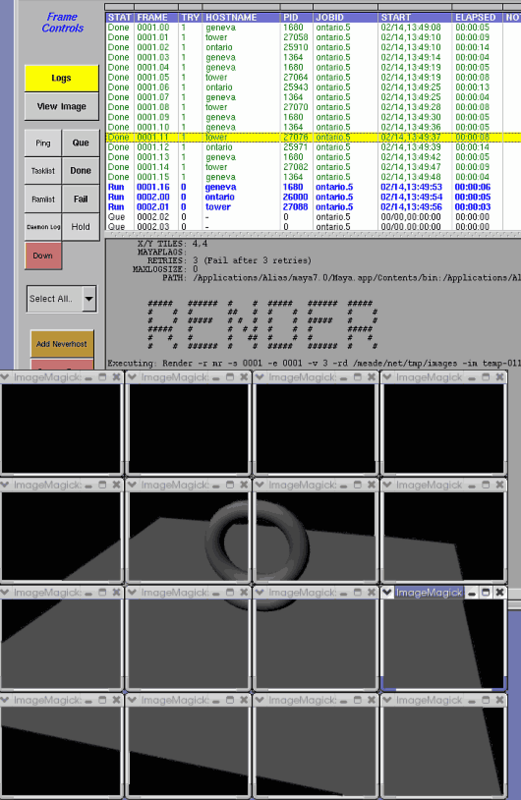 It does this by submitting a Rush job with floating point frame numbers, where the integer part of the frame number is the frame being rendered, and the fractional part of the frame number is the tile number. This way the tiles all quickly render their tiny image chunks in parallel, then the composite operation combines all the tiles together into a single image. After filling out the submit form, and submitting the job, you should end up with a Rush job, where each frame in the job represents a different tile in the image. How many tiles you break the image into depends on what you specify for the Xtiles: and YTiles: prompts. 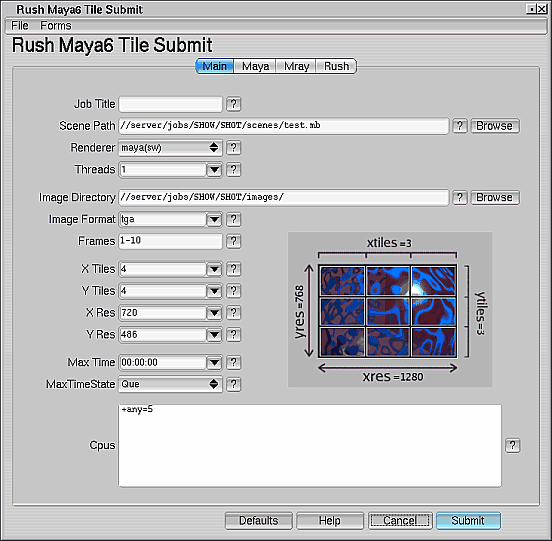 What follows shows the Rush frames report for a simple 2x2 (4 tile) render, and the resulting image tiles and composite image that results. "rush frame" comps the other 16 into a single image.